The sheriff’s office got the suspect to sign a surrender agreement, and the dogs WILL NOT be going back to where they were taken from. The York County Sheriff’s Office is reporting that they have rescued over a dozen dogs from a suspected dog fighting ring that has been under investigation. The property in question came under suspicion after local code enforcement officers were searching for a burglary suspect on a completely unrelated call. The report says that 11 of the dogs were on chains tied down using car axles, and eight of the dogs were badly scared from injuries consistent with those commonly found on fighting dogs. After the dogs were taken from the property, they had a full medical evaluation at a vet clinic, where further signs of dog fighting were confirmed. The animals are reported to have belonged to Frankie Lee Starnes, Jr. There are a number of pending charges, however law enforcement haven’t formally charged him as of yet. They are waiting for more medical information to ensure that they nail him for every possible thing that they can when it goes to court. Some of the current pending charges are ill treatment of animals, dog fighting restraint law violation, county animal shelter violation and rabies violation. As stated, those are just a few of the mountain of charges Starnes faces at this time. The sheriff’s office got him to sign a surrender agreement, and the dogs are now in protective custody. They WILL NOT be going back to where they were taken from if law enforcement has anything to say about it. I’m glad these babies are safe. I hope they can be re-homed into a loving environment. As far as this “person” – throw the book at him and put him in prison for as long as you can. It’s a shame we can’t give him a taste of his own medicine first. They killed all the dogs. No ‘rescue’ for them. You are a dumbass. I hope someone walks pass you when they see you all chained up and leave you to die. Are you kidding me? 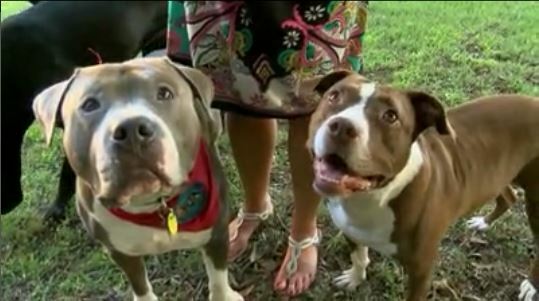 They obviously should have called on organizations with more pit bull rescue experience. Lazy government workers! Disgusting!!! Who wrote this? Contact me immediately if you did. These dogs were not rescued. They were killed by animal control with no chance at rescue and rehab. AC said they were killing each other so they had to be euthanized. AC should know to seperate them all. Whoever let them off their chain and didn’t take proper precautions to keep them seperate is just as guilty as the owner. AC didn’t want to bother. They didn’t want to have to house and pay for their vet care. This reeks of negligence!!!! This fighting is what gives Pits a bad rep! This should be stopped everywhere.! This is6animal abuse! Beat the motherfuckers who do this !? Austin Anthony, Robert Nava and Justin Taylor are the boys behind eCom Experts Academy. With private label, you create your OWN brand.